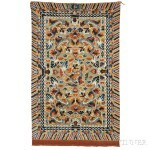 BOSTON, MA – Skinner, Inc. presents splendid rugs, carpets and textiles from the Caucasus region, Persia, Anatolia, India, Central Asia, and China at auction on Tuesday, April 25 at 12PM. 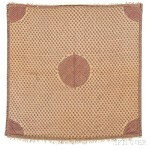 Public previews will be held on Sunday, April 23, 12 to 5PM; Monday, April 24, 12 to 7PM; and Tuesday, 9 to 10:30AM. 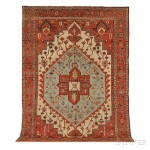 BOSTON, MA – This fall Skinner is excited to offer its first online-only auction of Fine Oriental Rugs & Carpets. 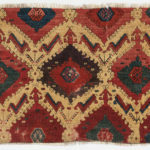 Opening on October 13 and running through October 21, the auction will feature over 400 lots of antique rugs, carpets, and textiles from the Caucasus region, Persia, Anatolia, India, Central Asia, and China. 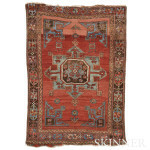 BOSTON, MA – March 24, 2015 – Skinner, Inc. is pleased to announce its auction of Fine Oriental Rugs & Carpets on Saturday, March 28th, featuring 329 lots that comprise a strong selection of early collectible rugs, Central Asian embroideries, Kashmir shawls, antique decorative carpets and more. 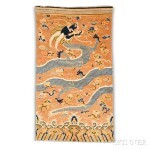 BOSTON, MA – September 11, 2014 – Skinner, Inc. will host an auction of Fine Oriental Rugs & Carpets on Sunday, September 28, 2014 at 12PM in Boston, featuring over 300 lots of antique rugs, carpets, and textiles from the Caucuses, Persia, Anatolia, India, Central Asia, and China.